No matter what Houston’s weather may be telling you, spring is right around the corner. 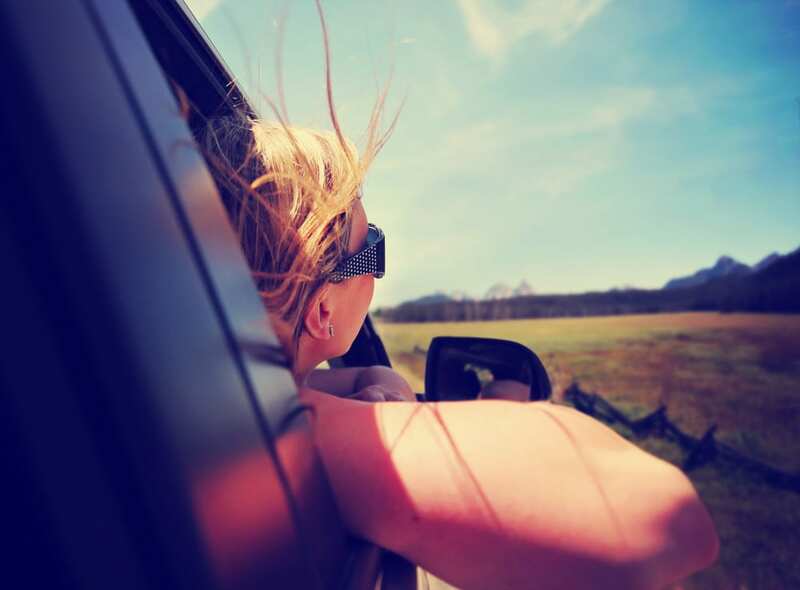 Between the brighter skies, the longer days and the more agreeable temperatures, spring is the perfect time to take your friends and family on a road trip. Before you begin your open road adventure, make sure you have the right tools and tactics in place so that your trip goes off without a hitch. Nothing can derail a road trip quite like car trouble. No matter how new your car may be, or how recently you’ve had it inspected, issues can arise and leave you stranded! Should the worst case scenario come true, having the right tools at your disposal could mean the difference between ending your vacation early and getting your group back up and running. With these easy-to-find tools and products on hand, you’ll be prepared for whatever the road may throw your way. Fix-a-Flat: No car is immune from a flat tire. In the worst case scenario, spare yourself the inconvenience and expense of a tow by keeping a Fix-a-Flat Tire Repair Kit on hand. While their classic aerosol tire inflators will do in a pinch, the complete kit comes with everything you need to inflate, patch and repair a tire in as few as seven minutes so you can safely drive your car to an auto repair shop to get new tires. Windshield Rain Repellant: You’ll be hard pressed to get through Spring in Texas without at least one rain storm. Don’t let the possibility of rain throw off your travel plans! Instead, simply pick up a bottle of Rain-X. With one simple application, water will bead up upon hitting your windshield, enabling increased visibility and a cleaner windshield in even the most daunting climates. A Map: Depending on where you’re traveling, you may encounter patchy phone signals and lose your GPS along the way. To keep yourself from getting completely lost, it never hurts to keep a map/atlas on hand. Portable Battery Jump Starter: Jumper cables are all well and good, but when a dead battery leaves you stranded on the side of the road, you don’t want to be 100% reliant on the kindness of strangers. To get your car back up and running on your own terms, a portable battery jump starter is one of the most important accessories you’ll ever own! These small devices are incredibly convenient to store, and can revive your battery from the dead even in extreme climates. Even with your car running smoothly, cranky passengers can quickly turn a road trip into a nightmare! However, with the right games and gear on deck, your trip can carry on without a hitch! Would You Rather: This game is a classic for a reason. Each passenger takes turns coming up with a pair of scenarios, and asks the car to decide which absurd option they would rather experience. To spice things up, include a round of Q&A for each option, making up specific conditions for each scenario as you go along. Whether it’s a family or a group of friends, this game can potentially provide hours of conversational fun for the whole car. A Split Aux Cable: When it comes to music, it’s nearly impossible to keep everyone happy. To keep things friendly, invest in a split aux cable to ensure that everyone gets their turn, with no one being able to hog the one cord all to themselves. Tablet Headrest Mount: Sometimes the best course of action is to take a break and watch something. While the driver will still need to keep their eyes on the road, a tablet mount for your headrest will keep the backseat relaxed and entertained. Even with the right gear and the perfect group, there’s no replacing peace of mind. Before you embark on a long road trip, it’s important to make sure that your car is in proper shape, especially as we come out of the colder months. To make sure that your trip starts (and ends) on the right foot, bring your car into Colony One to make sure everything is running the way it should. Our team of certified professionals will give you the honest answers and superior service necessary to get you on the road safely.